As a military family who has lived in rented homes for 17 years of active duty service, my husband and I are very aware of which types of landlords exist in the income property game. When meeting owners for the first time, it becomes obvious which personality we will be dealing with for the next two to three years. 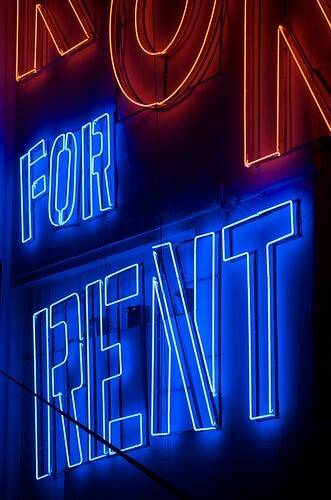 Sometimes that personality can make or break the rental deal. Regular Communication: I don’t mean daily phone calls. I mean a seasonal email to inquire about issues that pop up, like a gutter that needs repair or a sink faucet that becomes loose. Many owners don't live near their rental properties, so it's important they ask renters about big picture tasks such as powerwashing the house. If owners are not local, they won’t see how badly the deck stain is chipping or how overgrown the tree limbs have become. Proactive: Before new renters arrive, they deserve a house that is a blank slate. Inheriting ongoing but unknown problems (leaky pipes, plumbing issues) is unfair to the latest renters. Also, do a background check on us. We don’t mind, and hope it alleviates some of the trepidation of having strangers live in your home. Trust is important in this partnership. Preparedness: At each new rental house, I hope to see the three-ringed binder filled with manuals, lists of repair companies, maintenance schedules, and multiple inventory sheets for the initial walk through. Each home has unique features and it would be easy to reference a manual that describes the ancient fuse box or how to work the sump pump correctly. In this case, more is more! Pile on the information. It’s amazing how few owners assemble this paperwork. 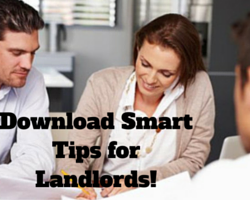 Providing these documents protects both the owner and renter. Financially Sound: It’s easy to become a landlord and begin to cash rent checks, but it’s hard to become a good and responsible homeowner capable of financing a new AC system when the current unit in the house dies during a heat wave in August. Renters want to take care of their temporary home but hearing about the owner’s money woes and flat out refusals, albeit polite refusals, to fix legitimate problems is very stressful. It’s morally challenging to request a replacement for a broken dishwasher after learning your homeowner’s divorce has wiped her out financially. Note: Too many owners let inconveniences slide simply because they weren’t prepared to spend the money. This leads renters to resent the owner’s inattentiveness and less likely to report problems that lead to major repairs in the future. Acceptance: Renters come from various states of house savvy. Please don’t assume we know how locate the main water valve in your 1950s home (put it in the manual!). I do a great job of painting walls and making your home look lovely, but I can’t fix a broken light switch even if the previous renters could. Some upkeep chores will be easy for handy renters; other renters will find repairs challenging, in which case, it’s probably more cost effective to have professionals handle the problems. Both landlords and renters will find multiple resources at MilitaryByOwner for making the next lease signing event accurate and worry-free.